I sometimes feel like if a recipe starts out with the ingredients bacon or pasta I am definitely going to at least give it a second look. If it includes both you can pretty much consider it done. 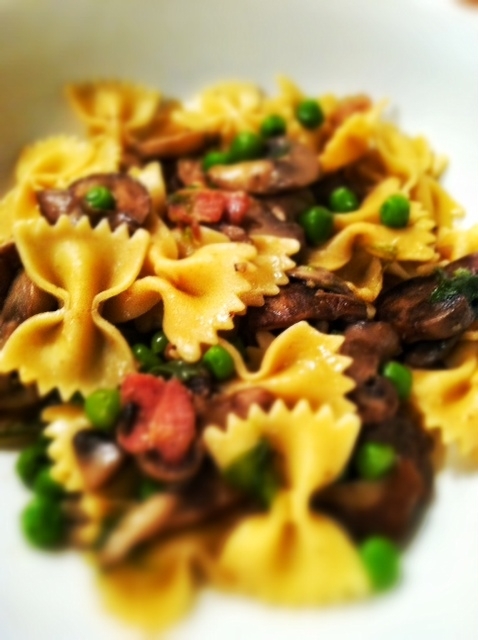 This recipe has salty bacon, earthy mushrooms and sweet peas AND it has a simple sauce made of broth that doesn’t disappoint. 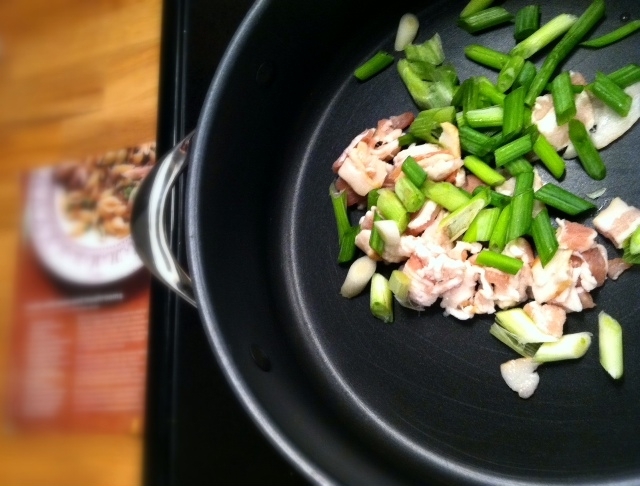 You start out by sauteing bacon and scallions. 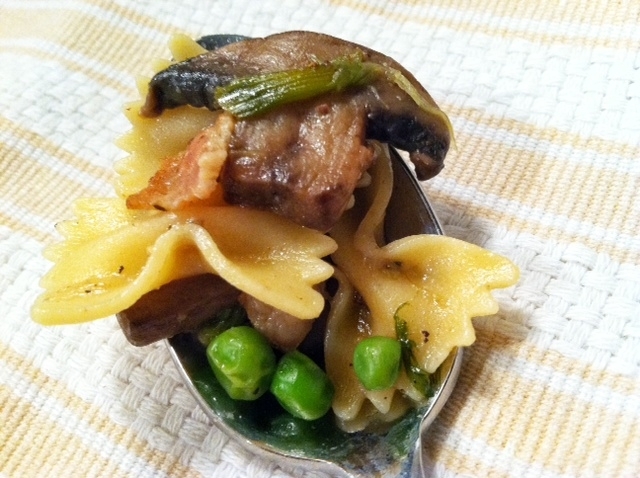 Then you add the peas and mushrooms and simmer it all in chicken broth. Then you toss it all with pasta. Have you guys tried this pasta? It is my favorite brand. 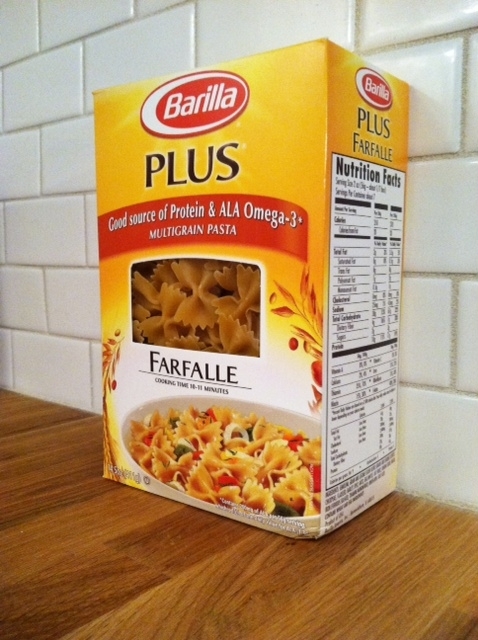 I am not sure it is as good for you as plain whole wheat but it is heartier than the regular pasta. You really get all the great ingredients in the pasta with every bite. If you prefer something heavier you could always add grilled chicken too. Top it all with fresh Parmesan! Heat oil in a large skillet over medium heat. Add bacon and scallions and saute until bacon starts to crisp and scallions are wilted, 4-5 minutes. 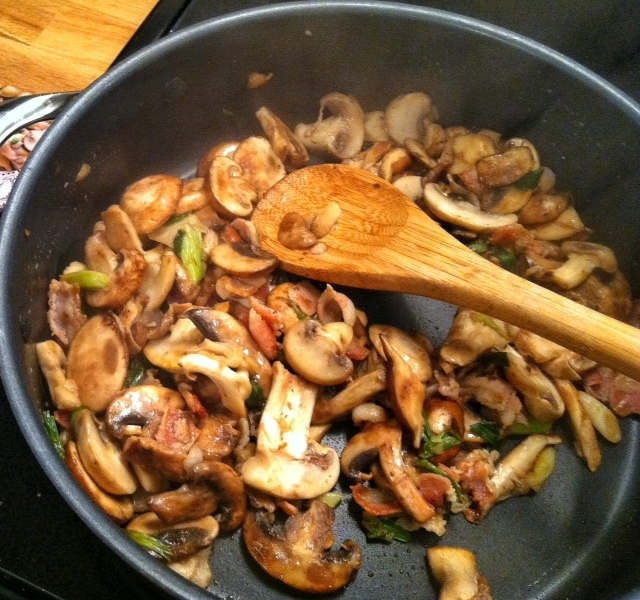 Add mushrooms and lightly sprinkle with salt. 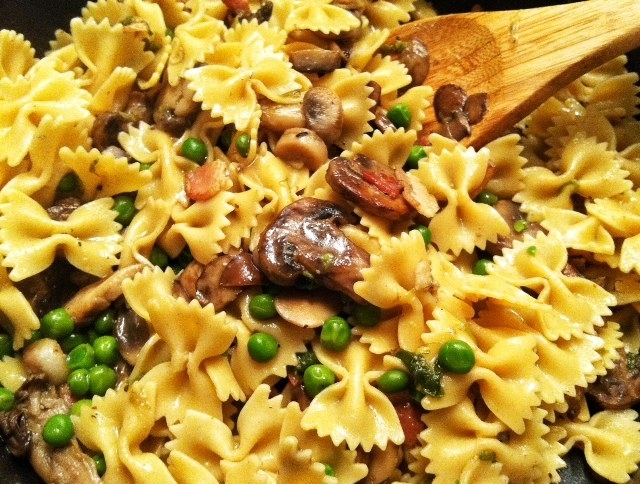 Continue cooking until mushrooms have lost most of their moisture or around 5-7 minutes. Add peas, butter and broth and season to taste with salt and pepper. Simmer about 10 minutes or until liquid is reduced by half. Meanwhile, cook pasta in boiling water stirring occasionally until al dente. Drain pasta. 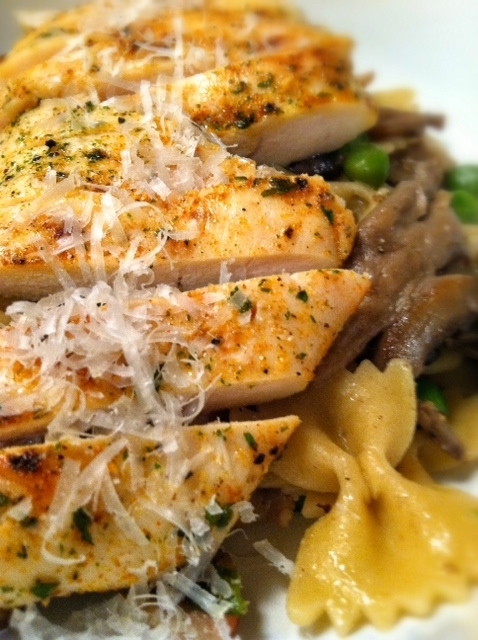 Add pasta to the skillet with the sauce and toss to coat. Remove from heat and add cheese. Toss again. 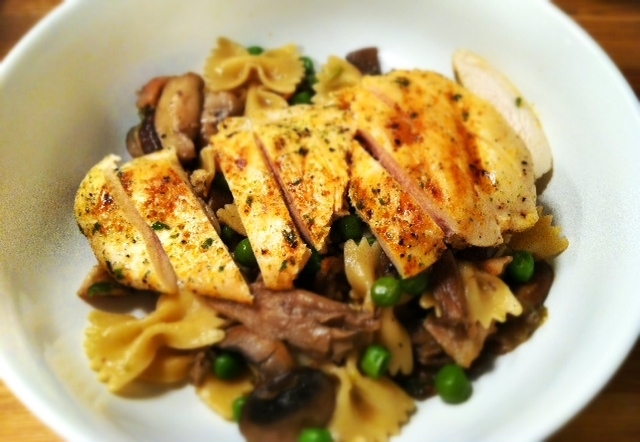 Top with grilled chicken if desired.